Would you like to become a member of the Dharmachakra Kadampa Buddhist Center? Select a class, or several classes, to attend, then if you want to continue with your studies talk to the Assistant or Teacher at your class. Your monthly pledge will be of great benefit to the DKBC, and also to you. When you become a member of Dharmachakra Kadampa Buddhist Center you will the benefits listed below. In addition, your membership contributions will serve as the main source of income for the Center and help us to maintain and improve our facilities and spiritual programs for the benefit of people throughout the Coachella Valley. We look forward to seeing you at the Center. Benefits: Attendance at all General Program and General Program Meditation classes. All members also receive a discount of $10 on attendance at workshops and other classes. Please contact our Administrative Director at ad@meditationinpalmsprings.org if you would like to become a DKBC supporter. “Inner peace, or mental peace, is the source of all our happiness. Although all living beings have the same basic wish to be happy all the time, very few people understand the real causes of happiness”. “We should consider how our human life is precious rare and meaningful. Due to the limitations of their body and mind, those who have taken rebirth as animals, for example, have no opportunity to understand or to practice the spiritual path. Only humans are free from such hindrances and have all the necessary conditions for engaging in spiritual paths, which alone lead to everlasting happiness. This freedom and possession of necessary conditions are the special characteristics that make our human life so precious. Although there are many humans in this world, each one of us has only one life. One person may own many cars and houses, but even the richest person in the world cannot possess more than one life. When that life is coming to an end here she cannot buy, borrow, or manufacture another. When we lose this life it will be very difficult to find another similarly qualified human life in the future. Our human life is therefore very rare. If we use her human life to accomplish spiritual realizations, it becomes immensely meaningful. By using it in this way, we actualize our full potential and progress from the state of an ordinary, ignorant being to that of a fully enlightened being, the highest of all beings. When we have done this we will have the power to benefit all living beings without exception. Thus, by using our human life for gaining spiritual realizations we can solve all are human problems and fulfill all our own and others wishes. What could be more meaningful than this? Contemplating these points, we will arrive at the determination, to engage in spiritual practice. This book, which I prepared for daily spiritual practice, is a collection of many important instructions from my other books. Its subject matter is profound, but because it’s presentation is simple, even if you’re a beginner you will not find it difficult to understand. If you put the instructions into practice, you can solve your daily problems and find true happiness. 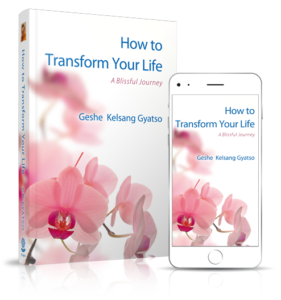 In particular I believe that for those who are already familiar with my other books the instructions presented here will provide a powerful method for gaining the deepest experience of both the stages of the path and training the mind. If you read this book with a positive mind free from negative views you will definitely receive great benefits. These Festivals and Dharma Celebrations provide a precious opportunity to study and practice the special presentation of Modern Buddhism taught by Venerable Geshe Kelsang Gyatso, the Founder of NKT. The events vary in length from two days to two weeks, but whatever their duration they all offer a vacation with a difference – a chance to break free from the hectic routines of daily life and focus on the things that really matter. You will come away not only refreshed and relaxed but also spiritually re-energized. International Fall Festival, Tharpaland IRC, Germany. 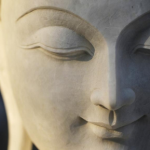 After many years of personal searching, Buddha Shakyamuni discovered how to keep his mind happy all the time–no matter who or what he encountered. Fortunately for us, he devoted 45 years of his life to teaching others how to do what he did. And his teachings have been tested and refined for more than 2000 years. Anyone can learn how to be happier in everyday life. Come to a class and begin learning today!